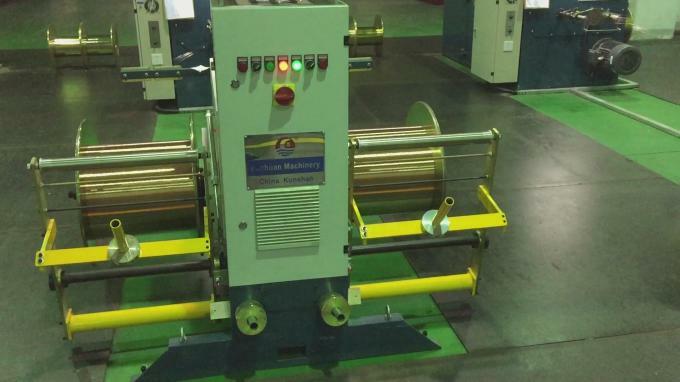 1.Usage: It is applied to the stranding of bare twisted wire, tinned, copper covered aluminum, lacquer wire and alloy wire. 1+6 may twist instead of bunching. 5.Size of take up spool: φ630mm×430mm×φ125mm(according to client’s drawings to make). 6. 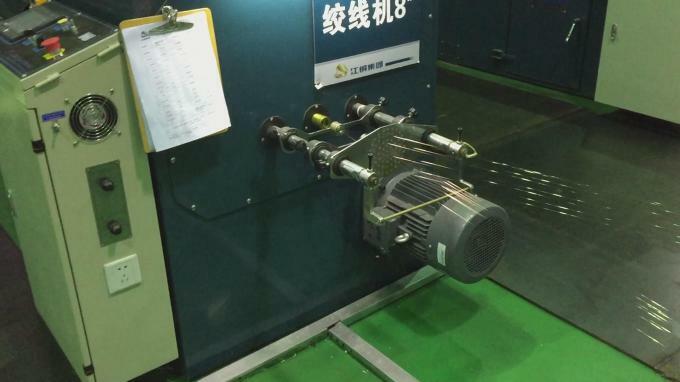 Maximum rotating speed: 3000RPM,in normal working speed is 2400RPM,it is not same according to the different wire’s specification. 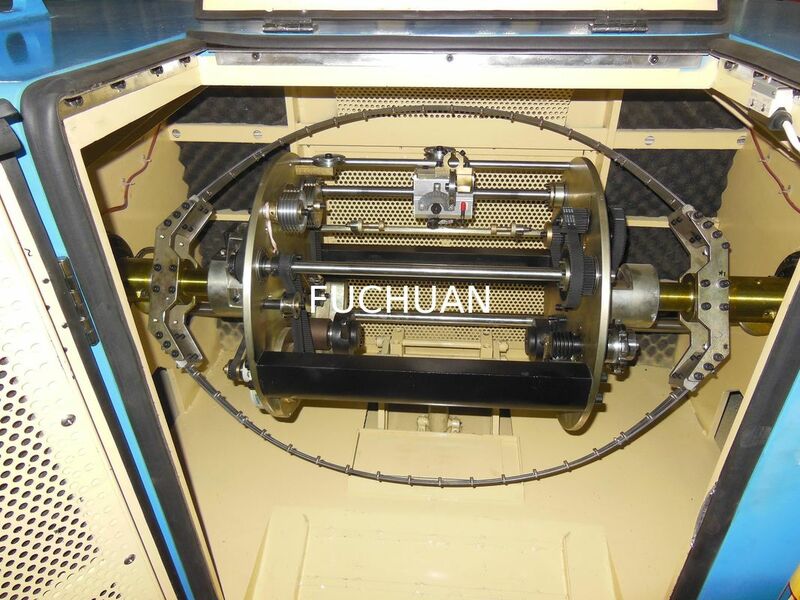 7.Type of traverse: φ30mm rolling ring traverse, winding pitch and breadth are adjustable. 8. 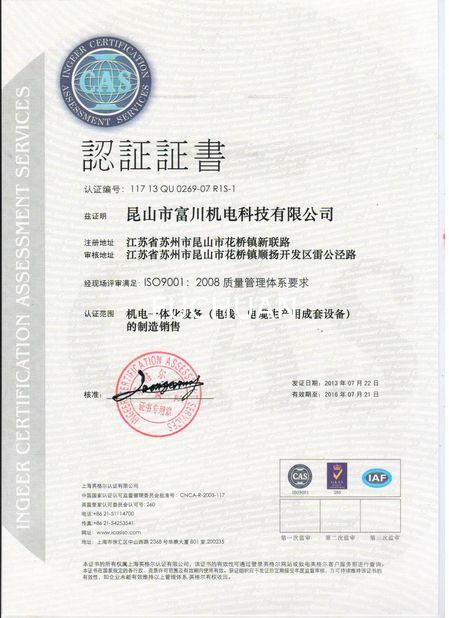 Standard lay length: 34 section 11.6~100mm (enclose list of standard lay length). 11.Replace of the capstan wheel to change the lay length. 12. Direction of strand: optional for right or left, only need to pull the reverse rod of the traverse by hands to adjust the lay-length, easy to operate. 13. 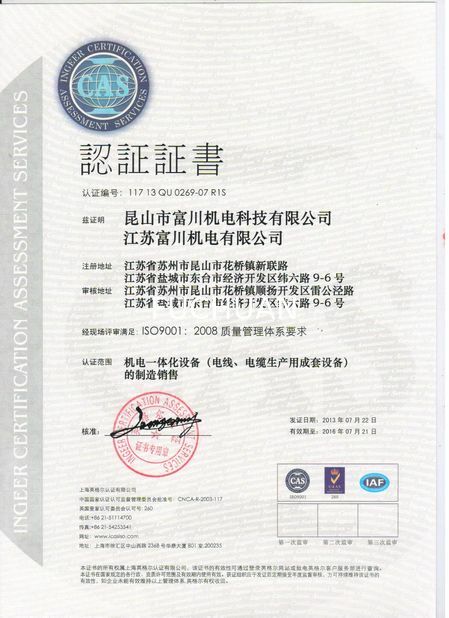 Brake: electromagnetic brake for external break, automatic stop when wire reach setting meter. 14. Tension control: take up tension is controlled by magnetic powder clutch, PLC follows up and regulates tension, constant tension. 15. Drive bearing: it is adopted imported Japan bearing. 16. Synchronization strap: it is adopted imported American product. 17. 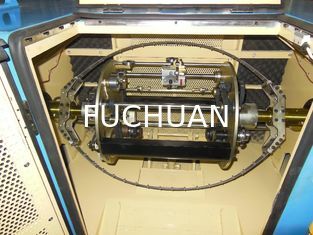 Spool from top to bottom: it is adopted manual pump hydraulic landing. 18. Way of spindle lubrication: butter lubrication. 22．Capstan wheel 1set After processing by ourselves plating hard chromium on surface. 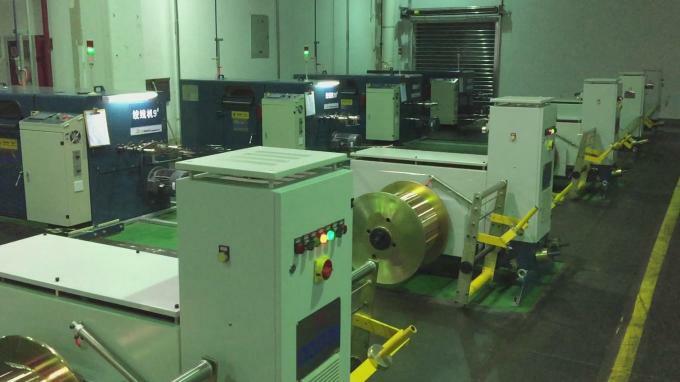 23．Wire guiding wheel 6pcs After processing by ourselves plating hard chromium on surface.